Years of wear and tear can leave your staircase looking old, damaged and outdated. Rather than settling for the stairs you have, it’s important to maintain them. They are, of course, a vital part of the house, without which you wouldn’t be able to venture upstairs! It might be time for you to think of making a few changes. Replace the handrail with something a little more modern like a mopstick handrail, cover those old outdated steps with some stair cladding or simply change up the stair posts and caps. 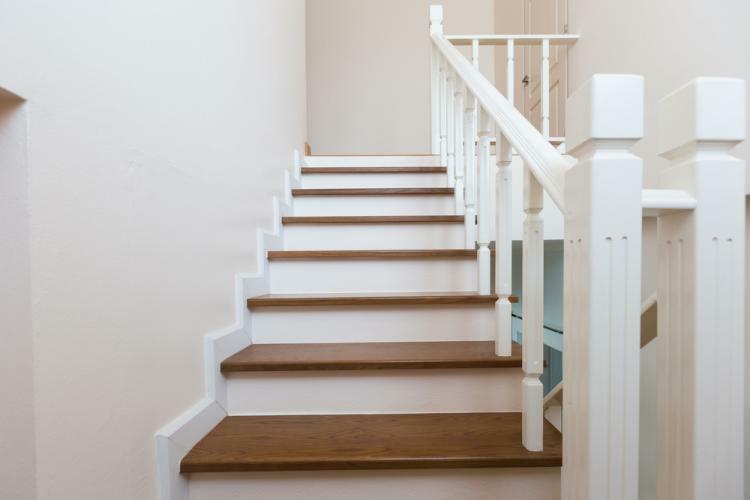 There is a lot that you can do to ensure that your stairs look great and remain safe. Handrails are extremely important. For those who need to feel a little more secure when using the stairs, they act as a support to help get from the bottom to the top and back. However, if your handrail is looking a little dated and has a few rough patches, it might be time to think about replacing it. A mopstick handrail will give your stairs a modern look whilst ensuring that everyone in the home stays safe when using it. There are also end caps to place on each end of the handrail to give that extra touch of style. The steps are the most important part of a staircase. Everyone in the home uses them and over time, the constant wear can leave them looking worn and in need of some TLC. Rather than tearing the stairs apart to replace them, cladding allows you to cover the old with the new. Your staircase will look almost brand new and it will be much safer. Your children will be able to walk up and down with confidence that they won’t slip or tumble, and with the added safety of the handrail, it will keep everyone safe. Essential to the structure of a staircase, the stair posts need to be maintained. If they are looking unfashionable or don’t match the rest of your stairs, replacing them could be the answer. It will ensure the structure remains secure and will also look more up-to-date. Although not vital, stair post caps can add something special to an otherwise unremarkable post. Different shapes allow you to decide what you feel would look best on your staircase and it also gives it a completed look.